Purlin(e): A piece of timber laid horizontally on the principal rafters of a roof to support the common rafters on which the roof covering is laid. 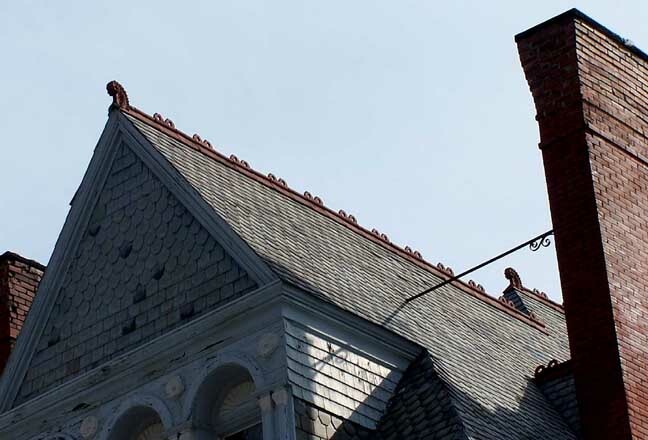 Rafter: One of a series of inclined members to which a roof covering is fixed; any of a series of small, parallel beams for supporting the sheathing and covering of a pitched roof. 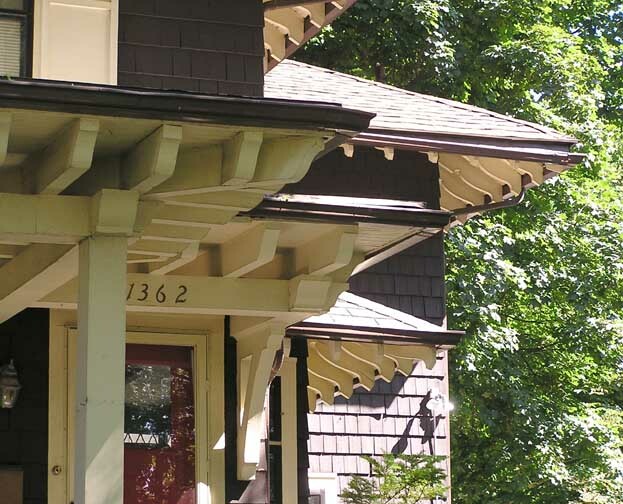 Exposed rafter tails are a distinguishing feature of Arts & Crafts/ Craftman style buildings. 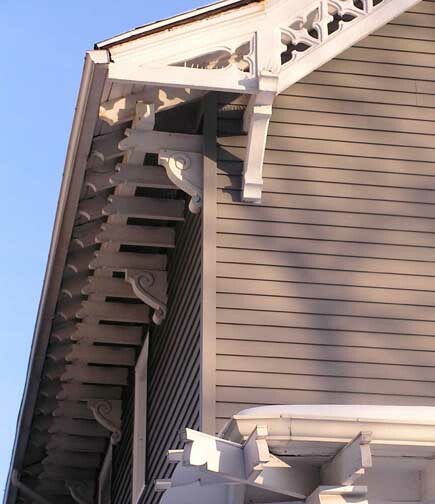 Rafter tails AKA scroll-sawn rafter tails. Ridge beam: A beam for supporting the upper ends of rafters below the ridge of a roof. Thicker than a ridge board. Clement Brick Museum Terra cotta cap, Elmira, NY. Tie rod: An iron or steel rod serving as a structural tie, esp. one keeping the lower ends of an arch or frame from spreading. 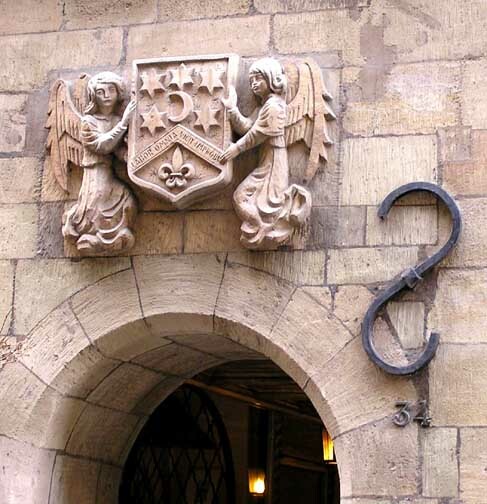 An anchor is is a metal clamp, often of a fanciful design, fastened on the outside of a wall to the end of a tie rod connecting it with an opposite wall to prevent bulging. Anchor: Ullmann House, 260 Middlesex Rd.